Beautiful finish :-). Love the quilting work!!!! That's a beautiful quilt Ida - I like the way you adapted the pattern to use up all of those lovely fabrics. We are always happy to see hedgehogs too - they have suffered a steep decline in numbers here in the UK. 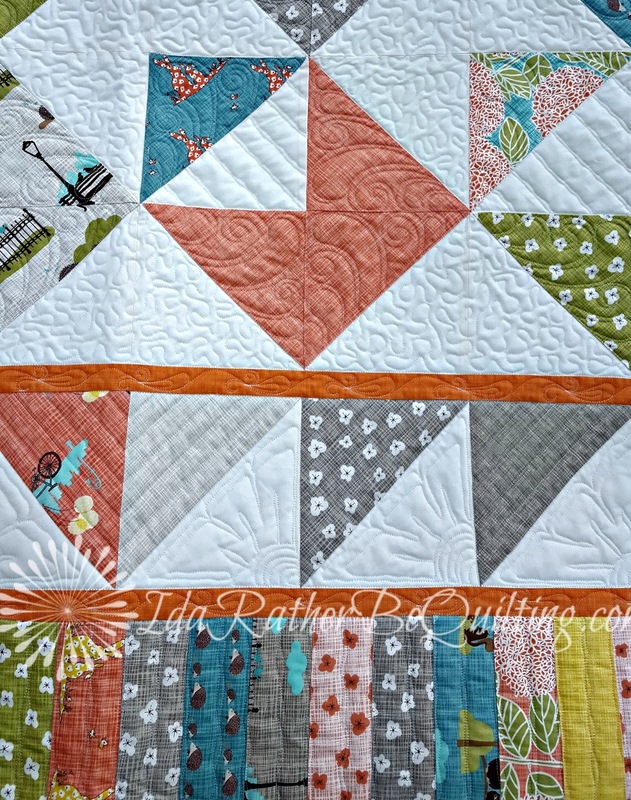 Lovely quilt and I love your quilting!! I have over 50 tops in my UFO pile and I just keep making more tops!!! I always put customer quilts in front of my quilts, so they got ignored...then I spent 9 months house/pet sitting for my deployed daughter and couldn't take my Innova across the country with me, so more tops...and the past year I have spent caring for my dad (almost 96), so more tops without my Innova!!! 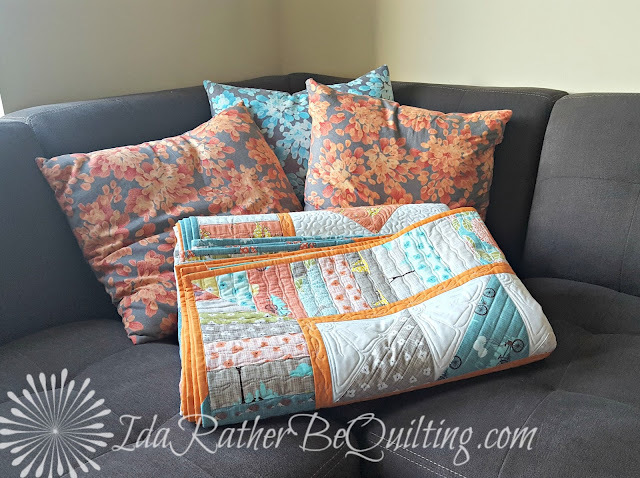 When I finally get home, it will take me a few years to create the backings and get everything quilted...if I don't have to make any new tops!! I miss the days when I stuck with a quilt until it was bound and labeled before moving on to another quilt! Let's see - to answer your question: I don't generally leave a quilt top sitting around. I basted one today, and have 2 more tops in progress that I should be able to finish in a couple of weeks (I don't normally work on so many at a time, but I'm doing a sort of series...) I am also in the process of hand quilting my flowering snowball. 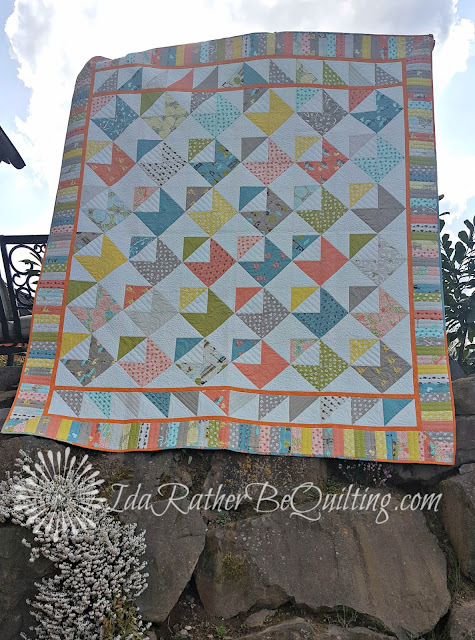 This is a gorgeous quilt Ida! Beautiful quilting! I love the quilting, great finish!